Tshirt Bordello came up with this gem of a shirt. 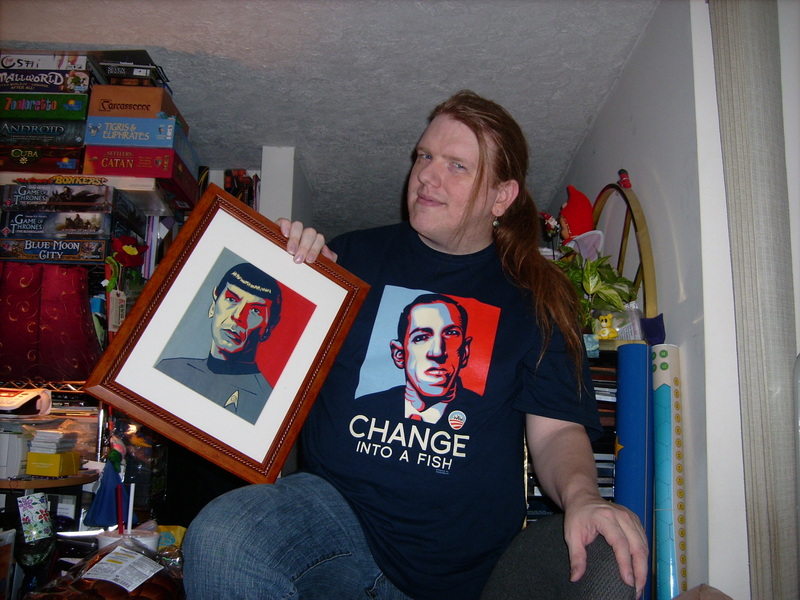 The Spock poster was in Newsweek. Cool, huh =) The poster is actually hanging in our hallway. It’s really sharp looking. The shirt, by the way, references The Shadow over Innsmouth, a novella by H. P. Lovecraft, in which the main character goes to Innsmouth seeking genealogy information and … no no, I won’t spoil it. =) It’s a good story, worth a read; But if it happens to be a little long fFor you, you could also read the much shorter story “Dagon” which is very different, but has some similar themes.